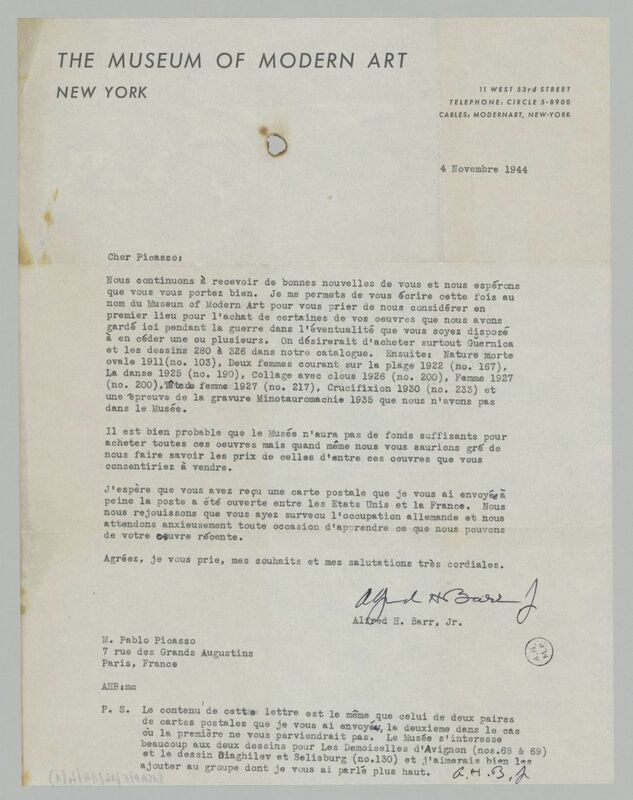 Alfred H. Barr Jr., head of the Collections Department at the Museum of Modern Art, New York, relays to Picasso the museum’s interest in purchasing the works on loan there, listed in his letter, in particular Guernica. Therefore, he requests prices for the works, before going on to inform him of the possibility that the museum does not possess sufficient funds to acquire them. He also tells Picasso how happy he is to see that he survived the German occupation and tells him he is looking forward to receiving news of his most recent work.